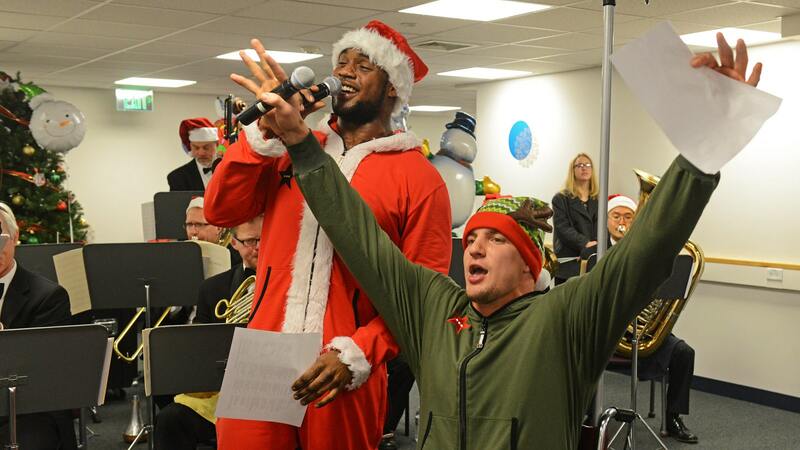 Gronk is all about the kids. 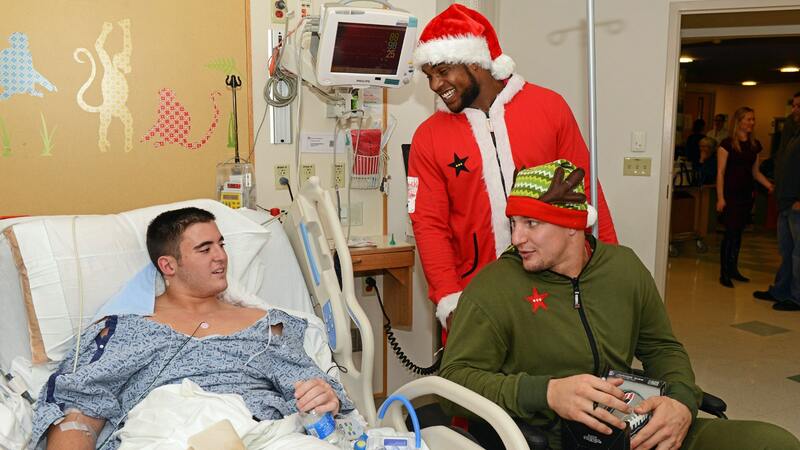 Awww, Rob Gronkowski is just one giant softie. 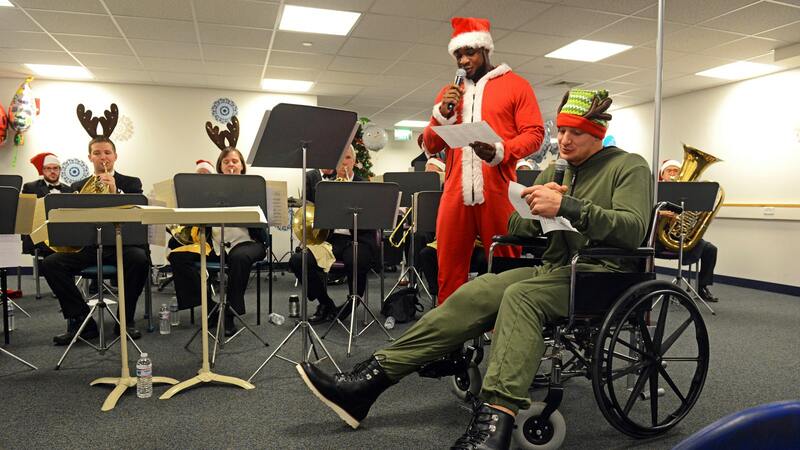 The Patriots tight end is still confined to a wheelchair as he recovers from knee surgery, but that’s not going to slow him down. 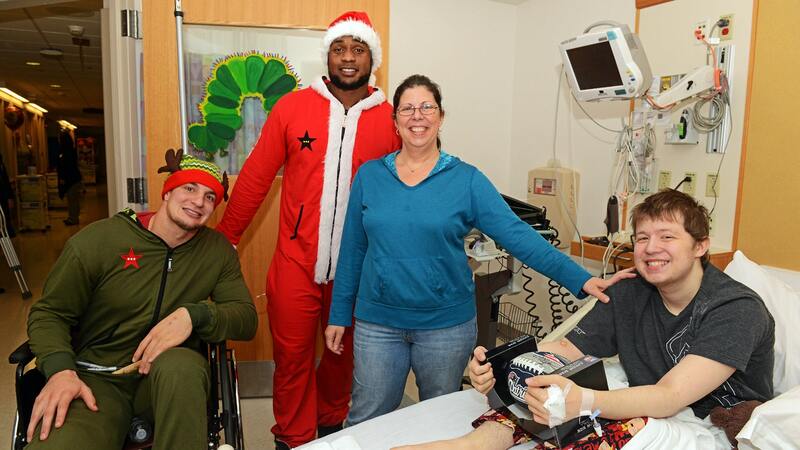 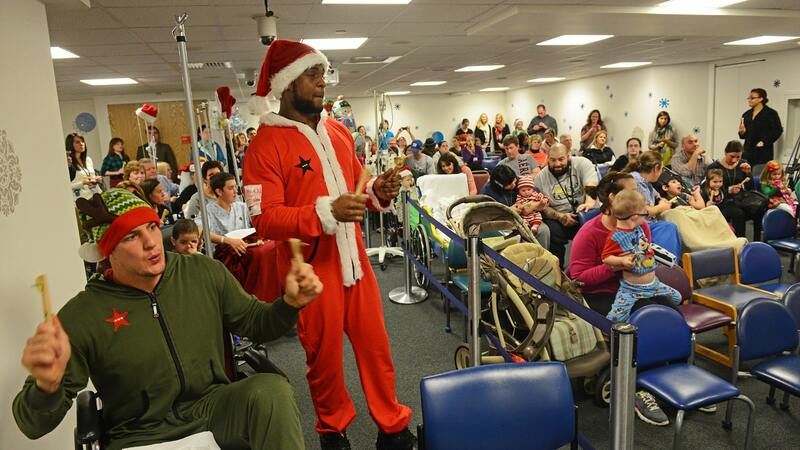 Gronk dressed up as an elf and joined Santa Claus (aka running back Stevan Ridley) to visit patients at Boston Children’s Hospital.